Should I get a wedding film? I hear this question a lot. Well there are few occasions as special as your wedding day! Taking that first step on your journey through life together, creating for ever memories. But how can you ensure the memories you create can be held fresh for the rest of your days? There is no better way for these memories to endure, than with the help of a high-quality, professional wedding film? 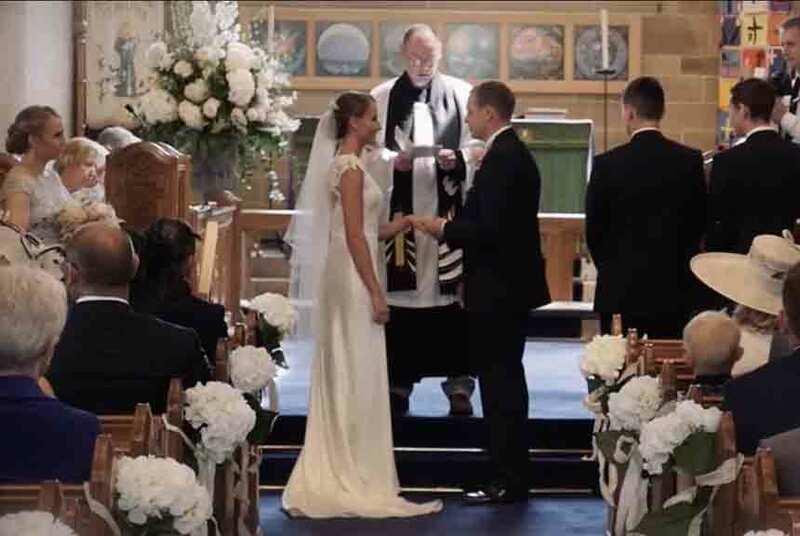 More and more over the past several years, it has become the norm to hire a professional wedding videographer to capture those precious wedding day moments. Yet a good wedding videographer can be costly, and while many brides have no doubt that a wedding film is essential, there are also many who are torn due to the added expense. It’s sad but true, especially when you consider the hours of planning, the endless decisions and all the time and money you’ve put in. But the one thing I hear almost every bride say is that all went by so very fast. This is were a a well-made wedding film comes in. You can relive the moments and experience the emotions whilst taking in all the details you missed, over and over again if you like! For many brides, that alone makes a wedding videographer well worth it. While wedding photos are traditionally the go-to way of preserving your special moments, a great wedding film can add a whole new dimension to the way you remember your day. A film can capture the spontaneous and moving moments with a spirit and depth that still photos just cannot convey. One of the most vital things about your day are the sounds; the exchanging of vows, the toasts, the laughter and more. My films lean heavily on dialog, and I use this to drive forward the narrative of my films. Any decent professional wedding videographer will capture great live audio to ensure that every special moment can be clearly heard. In a study conducted by the Wedding and Events Videographers Association (WEVA) it was found that 98% of newlyweds recommended filming your wedding; indeed those brides who hadn’t done so indicated that they regretted their decision. And so will the grandkids! Your wedding film will be a high-quality memento like no other. A family heirloom that your kids and grandkids will absolutely cherish. A wedding video will allow them to get a feel for the spirit of the day in a way that photographs are just unable to do. So while there are brides out there who admit to being a bit leery of video due to cost, the advantages of having professional, high definition footage shot by a talented videographer far outweigh the advantages of saving a few £££. From preserving those magic moments, to having a stunning reminder that will last the rest of your lives, having a wedding film made just makes sense. I hope you have enjoyed my persuasive argument for having a wedding film shot? I hope it has peaked your interest in having a wedding film made and I would love to hear from you to discuss your requirements here.